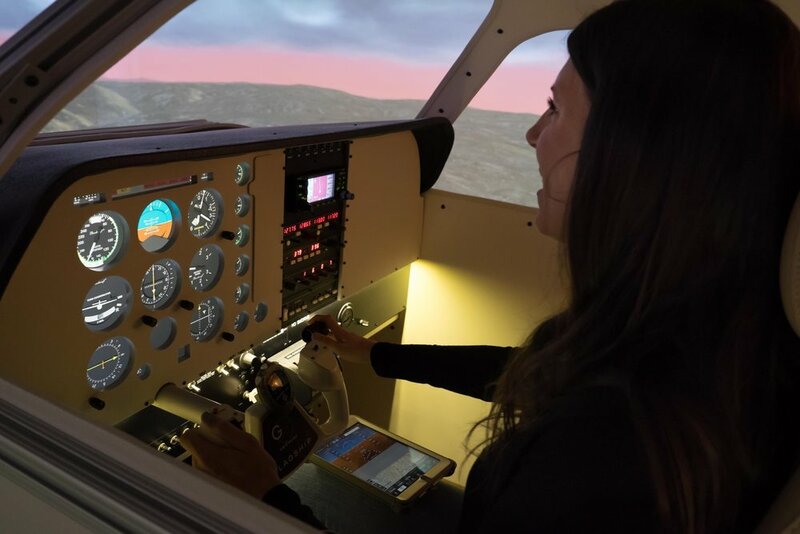 The one-G Instructor Operator Station (IOS) is an unrivaled resource for students and instructors. Seamlessly integrated with the one-G Portal™, the 1G-IOS™ is an interactive platform, allowing instructors to utilize the device as a teaching tool. The application is highly intuitive and provides complete control of all simulator parameters, from geographic location to weather to failures, and more. We've even included scenario building features, making quick work of generating and loading curriculum paired scenarios. With a simple touch screen interface and a ‘platform agnostic’ design that responds to wireless tablets and traditional desktop consoles, the 1G-IOS™ shines. The one-G Portal™ is a secure, cloud-based portal which includes an array of helpful tools to streamline the administrative aspects of pilot training. Paired with the 1G-IOS™, the one-G Portal™ automatically logs instructor and student training hours. In addition, there are a host of additional features including training related documents and resources, record keeping, account maintenance and billing. The secure online one-G Portal™ allows students, instructors and administrators to track their activities and progress - anytime, anywhere. Faithful emulator of the Garmin GTN 650. Faithful emulator of the Garmin GTN 750. The best G1000 emulator available. A faithful representation of the Garmin G600. A fully featured emulation of the Bendix/King Electronic Flight Instrumentation System. Want to learn more about our software solutions?